Department of Psychiatry, Bangabandhu Sheikh Mujib Medical University, Dhaka, Bangladesh. Department of Surgery, Dhaka Medical College Hospital, Dhaka Bangladesh. Assistant Professor, Department of Psychiatry, Uttara Adhunik Medical College, Dhaka, Bangladesh. Senior lecturer, Department for Allied and Public Health, Anglia Ruskin University, Chelmsford, Essex, UK. Department of Medicine, Uttara Adhunik Medical College, Dhaka, Bangladesh. Department of Nephrology, Uttara Adhunik Medical College, Dhaka, Bangladesh. Background: Assessment of patient satisfaction is crucial but there is significant lagging in this sector. Patient satisfaction is an important indicator of health care quality as well as a predictor of treatment adherence. The Good patient-doctor relationship is considered as an integral part of the patient satisfaction. In Bangladesh, this domain is yet to be explored in a large scale. Aim: It was aimed to look into the patient satisfaction level in chamber setting in Bangladesh measured using the patient-doctor relationship questionnaire (PDRQ-9 Bangla). Methods: PDRQ-9 is a short yet excellent tool for assessing the patient-doctor relationship. The data collection was done in private chamber setting by the PDRQ-9 and analyzed. Results: Though the result was not completely in line with the existing literature, the PDRQ-9 was found to be a useful and brief measurement tool in the context of the patient-doctor relationship. 1. Andalib A, Arafat SMY. Practicing Pattern of Physicians in Bangladesh. International Journal of Perceptions in Public Health. 2016;1(1):9–13. 2. Linda .MS P, editor. PATIENT SATISFACTION SURVEYS FOR CRITICAL ACCESS HOSPITALS. First ed. 1607 West Jefferson Street Boise, Idaho 82702: 2001. 3. Linder-Pelz S. Toward a theory of patient satisfaction. Social Science & Medicine. 1982 Jan;16(5):577–82. 4. Raivio R, Jääskeläinen J, Holmberg-Marttila D, Mattila KJ. Decreasing trends in patient satisfaction, accessibility and continuity of care in Finnish primary health care – a 14-year follow-up questionnaire study. BMC Family Practice. 2014 May 15;15(1). 5. Paddison CAM, Abel GA, Roland MO, Elliott MN, Lyratzopoulos G, Campbell JL. Drivers of overall satisfaction with primary care: Evidence from the English general practice patient survey. Health Expectations. 2013 May 30;18(5):1081–92. 6. Koné Péfoyo AJ, Wodchis WP. Organizational performance impacting patient satisfaction in Ontario hospitals: A multilevel analysis. BMC Research Notes. 2013;6(1):509. 7. Jackson JL, Chamberlin J, Kroenke K. Predictors of patient satisfaction. Social Science & Medicine. 2001 Feb;52(4):609–20. 8. Rahmqvist M, Bara A. Patient characteristics and quality dimensions related to patient satisfaction. International Journal for Quality in Health Care. 2010 Feb 3;22(2):86–92. 9. Arafat SMY. Doctor Patient Relationship: an Untouched Issue in Bangladesh. International Journal of Psychiatry. 2016 Jul 16;1(1):2. 10. Kaba R, Sooriakumaran P. The evolution of the doctor-patient relationship. International Journal of Surgery. 2007 Feb;5(1):57–65. 11. Ridd M, Shaw A, Lewis G, Salisbury C. The patient–doctor relationship: A synthesis of the qualitative literature on patients’ perspectives. British Journal of General Practice. 2009 Apr 1;59(561):116–33. 12. Bensing JM, Tromp F, van Dulmen S, van den Brink-Muinen A, Verheul W, Schellevis FG. Shifts in doctor-patient communication between 1986 and 2002: A study of videotaped general practice consultations with hypertension patients. BMC Family Practice. 2006 Oct 25;7(1). 13. Little P, Everitt H, Williamson I, Warner G, Moore M, Gould C, Ferrier K, Payne S. Observational study of effect of patient centredness and positive approach on outcomes of general practice consultations. BMJ. 2001 Oct 20;323(7318):908–11. 14. Porcerelli JH, Murdoch W, Morris P, Fowler S. The Patient–Doctor relationship questionnaire (PDRQ-9) in primary care: A validity study. Journal of Clinical Psychology in Medical Settings. 2014 Aug 9;21(3):291–6. 15. Aloba O, Esan O, Alimi T. Psychometric qualities of the 9 item patient doctor relationship questionnaire in stable Nigerian patients with schizophrenia. Journal of Behavioral Health. 2015;4(4):112. 16. Zenger M, Schaefert R, van der Feltz-Cornelis C, Brähler E, Häuser W. Validation of the patient-doctor-relationship questionnaire (PDRQ-9) in a representative cross-sectional German Population survey. PLoS ONE. 2014 Mar 17;9(3):e91964. 17. Van der Feltz-Cornelis CM, Van Oppen P, Van Marwijk HWJ, De Beurs E, Van Dyck R. A patient-doctor relationship questionnaire (PDRQ-9) in primary care: Development and psychometric evaluation. General Hospital Psychiatry. 2004 Mar;26(2):115–20. 18. Arafat SMY. Psychometric validation of the Bangla version of the patient-doctor relationship questionnaire. Psychiatry Journal. 2016;2016:4. 20. Arafat SMY, Uddin MS, Chowdhury EZ, Huq N, Chouudhury SR, Chowdhury MHR. Demography and Diagnosis of Patients Received Emergency Medical Service from Two Private Psychiatric Hospital in Dhaka City. 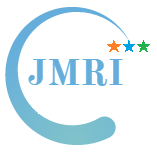 Int J Neurorehabilitation. 2016;3(6):240. 21. Mergen H, Van der Feltz-Cornelis CM, Karaoğlu N, Ongel K. Validity of the Turkish patient-doctor relationship questionnaire (PDRQ-Turkish) in comparison with the Europe instrument in a family medicine center. Healthmed. 2012 Feb;6(5):1763–70. 22. J. C. Mingote A, B. Moreno J, R. Rodríguez C, M. Gálvez H, P. Ruiz L. Psychometric validation of the Spanish version of the Patient-Doctor Relationship Questionnaire (PDRQ). Actas Esp Psiquiatr. 2009;37(2):94–100. S.M. Yasir Arafat, Amin Andalib, Syed Faheem Shams, Russell Kabir, Md. Mohsin Ali Shah, A.M. Fariduzzaman, Mohammad Liakat Ali Liton, Eusha Ahmad Fidalillah Ansary, 2017.